McKayla Maroney is an American former Olympic gymnast who rose to fame during the 2012 Summer Olympics in London as a member of the “Fierce Five”. Alongside Gabby Douglas, Aly Raisman, Kyla Ross, and Jordyn Wieber, Maroney helped lead the US artistic gymnastics team to gold. While she has decided to no longer compete in the Olympic Games due to health issues, Maroney is still an inspiration for aspiring gymnasts around the world. McKayla Rose Maroney was born December 9, 1995, in Long Beach, California. Her father, Mike Maroney, was a quarterback at Purdue University, but it was her mother Erin who enrolled young McKayla in gymnastics in 1997 when she was just 2 years old. Maroney specialized in both vault and floor routines. Of the two, the floor is her favorite discipline because to her, it offers the greatest amount of self-expression. Before her famous Olympic debut, Maroney competed in several junior level competitions, including the 2009 and 2010 Visa Championships, the 2010 CoverGirl Classic, and the 2010 Pan American Championships. The height of Maroney’s gymnastics career was during her time with the “Fierce Five” at the London Olympic Games. At just 16 years old, Maroney helped the American team win gold by contributing an impressive vault score of 16.233 and an execution average of 9.733. In the individual vault, Maroney won silver with a score of 15.083, despite a fall on her second vault. After winning silver in the vault, Maroney was photographed standing on the podium with a very noticeable side-pout on her face. 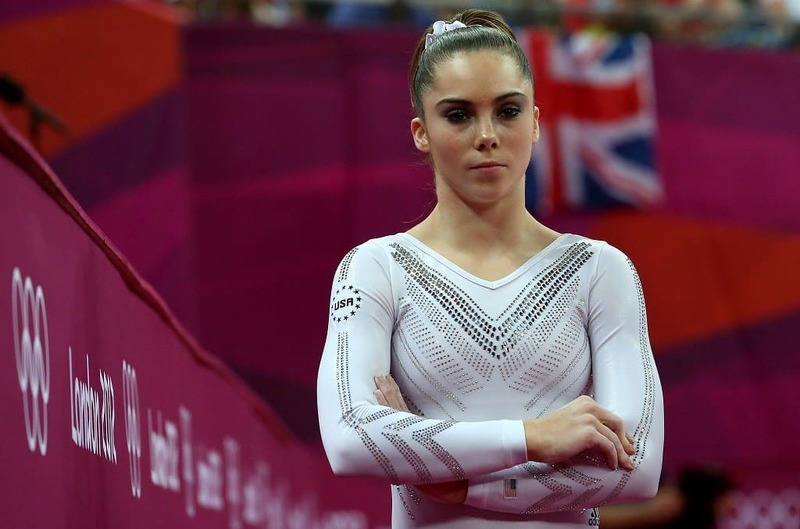 Shortly afterward the photo, dubbed “McKayla Maroney is not impressed”, went viral, and McKayla’s expression was used in memes all across the web. In September of 2012, Maroney suffered a fractured tibia in her left leg after dismounting from the uneven bars. 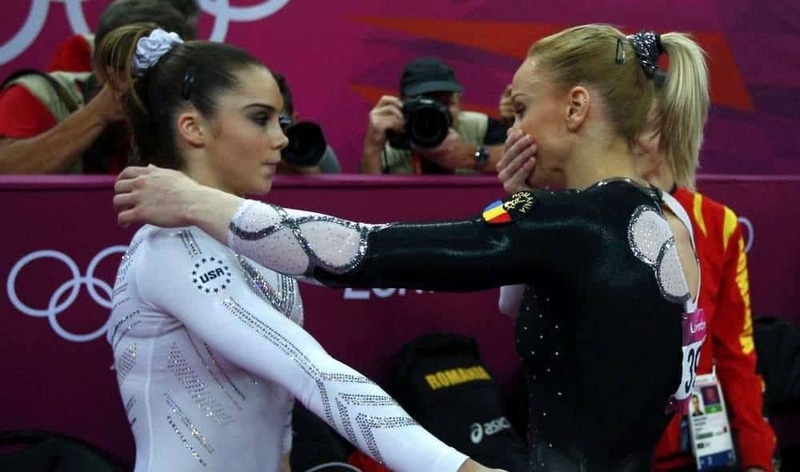 Due to this injury, Maroney did not return to gymnastics until the summer of 2013, when she competed in the Secret US Classic and placed third on the floor exercise and first on the vault. 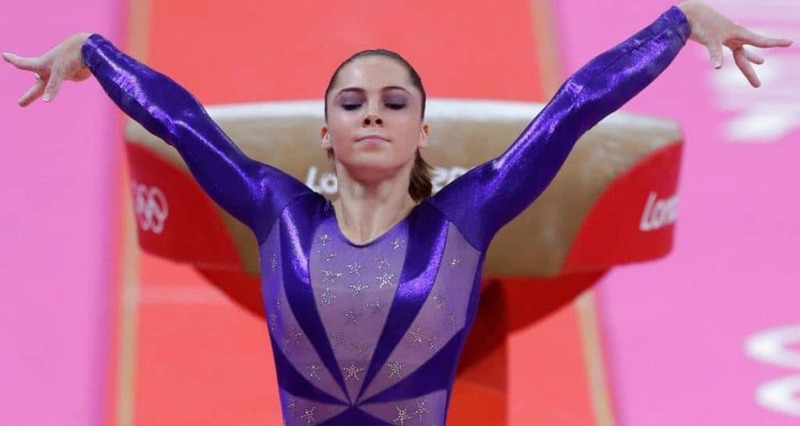 While Maroney was able to get back into competitive gymnastics after fracturing her leg in 2012, additional health problems including a broken toe, concussion, and knee surgery would force the young athlete to retire before the 2016 Olympic Games. Since her retirement, Maroney has taken up both acting and singing. During Maroney’s gymnastic career, she won numerous awards and titles in both vault and floor events. Outside of the Olympics, Maroney’s greatest achievement is earning the title of Vault World Champion not once, but twice, and is the only American woman to ever defend that title. Olympic gymnasts go through intense training to achieve that level of perfection, and McKayla Maroney is certainly no exception. For members of the “Fierce Five”, 7-hour days in the gym were the norm! Fortunately, you don’t have to spend all day at the gym every day to get abs like McKayla Maroney. Some exercises are done with the help of a professional ballet barre. For athletes like Maroney, gymnastics is all about building endurance and condition. Instead of typical exercises, like running or lifting weights, gymnasts often build strength through rope-climbing ballet exercises. Learn more about ballet bares and how they can help you get the abs of a gymnast! What Does It Take to Become an Olympic Gymnast? What do nearly all Olympic gymnasts have in common? They start training incredibly early – Maroney was just 2 years old when her mother put her in her first gymnastics class. Considering that the average age of an Olympic gymnast is just 16, it makes sense that they would need all of the practice that they can get while they’re young. The best way to get your child into the sport is to practice with gymnastics equipment for kids, like a floor balance beam or a junior horizontal bar. The earlier they develop a love for the sport, the better. Of course, not everyone can be a McKayla Maroney, but gymnastics are a great way for anyone to build strength, coordination, and confidence.